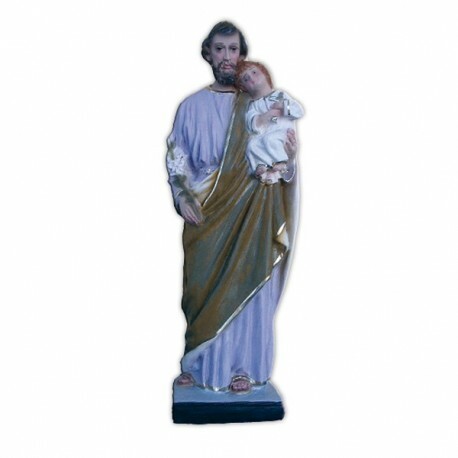 Statue of Saint Joseph of 25 cm. Sain Joseph the patriarch is commemorated on the 19th of March. 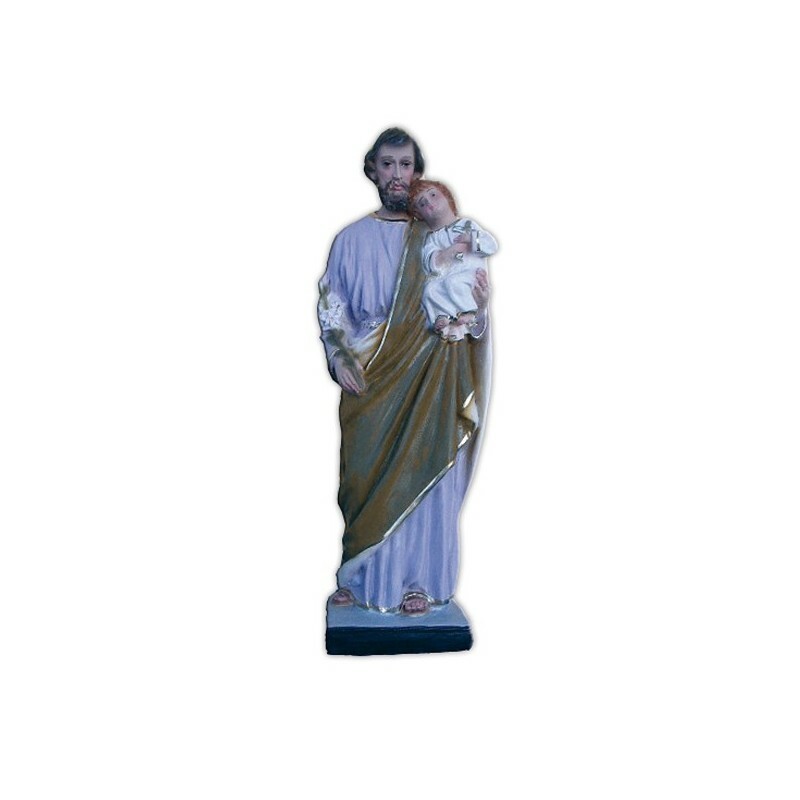 He was the husband of the Virgin Mary and the putative father of Jesus. He is described with an all-ambracing adjective: righteous. He is not named in the history of the Passion, probably because he was already died. His cult was celebrated in East before and, in the XIV century, it achieved a great consideration in West too. Pope Pio IX proclaimed Joseph the patrono f the universal Church. Saint Joseph is celebrated on the 19th of March and, also, on the 1st of May, as the patrono f the workers. He is traditionally illustrated with the Baby and the lily, with a saw or with a carpenter square ruler.